HISTORY: The Baltimore Clipper traces it’s roots as far back as the 1730’s. These sharp, fast and weatherly vessels reached their zenith in design around 1810. 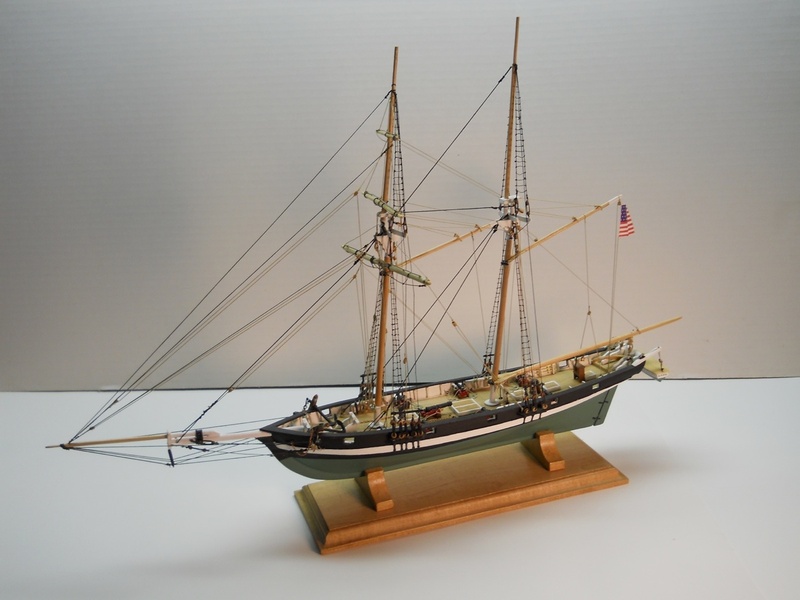 So successful was the design that a single class was declared for this naval model and from 1813 to 1854 most naval sloops, brigs and schooners were designed with the Baltimore Clipper in mind. William Doherty a leading naval designer from 1812-1837 is considered the father of the Baltimore Clipper Model. This model of the Lark is a typical Clipper/Privateer of her time, carrying a battery of six-6 pounders and one 12 pounder. • Hull Length: 12 1/2"